Joining Wendy on guitar is the very talented Larry Harte (from Coalisland) who is increasingly in demand as both a traditional session player and as an accompanist. His recent projects have included a performance and recording for RTE in Dublin. Larry is an accomplished mandolin, guitar and banjo player… Indeed, he has even published a beginner’s guide to popular Banjo Tunes! 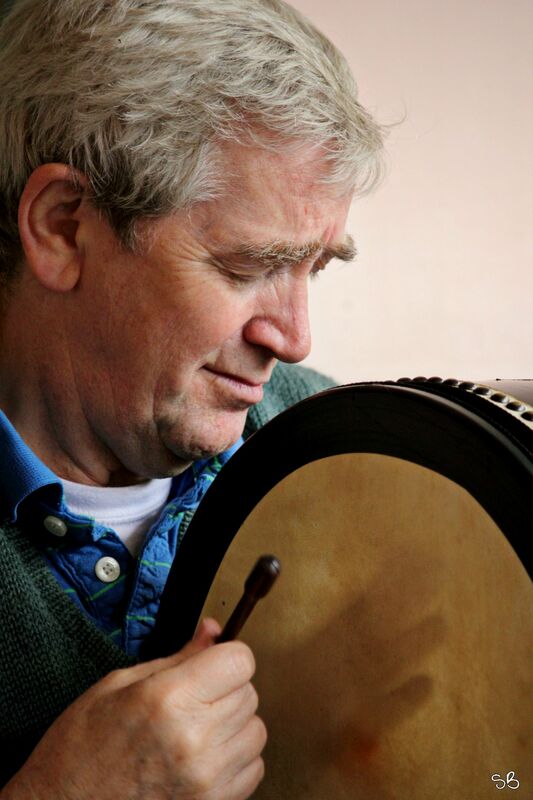 Another very special guest on the evening is the world renowned Master Bodhran player & craftsman Seamus O’Kane. Seamus, from Dungiven, has been responsible for the design of the modern drum. As a player, he has given workshops in USA, France, Switzerland, Spain, Italy, Scotland and throughout Ireland. He has recorded on more than 30 CD’s and LP’s and has appeared in 2 instrument making documentaries…Ceirde Cheoil (bodhran making)…Banrion an Cheoil (harp making). Tickets are €10 / €8 (which includes a FREE Limited Edition CD). They are available from The Ranfurly House Arts and Visitor Centre via the Box Office 028 8772 8600.